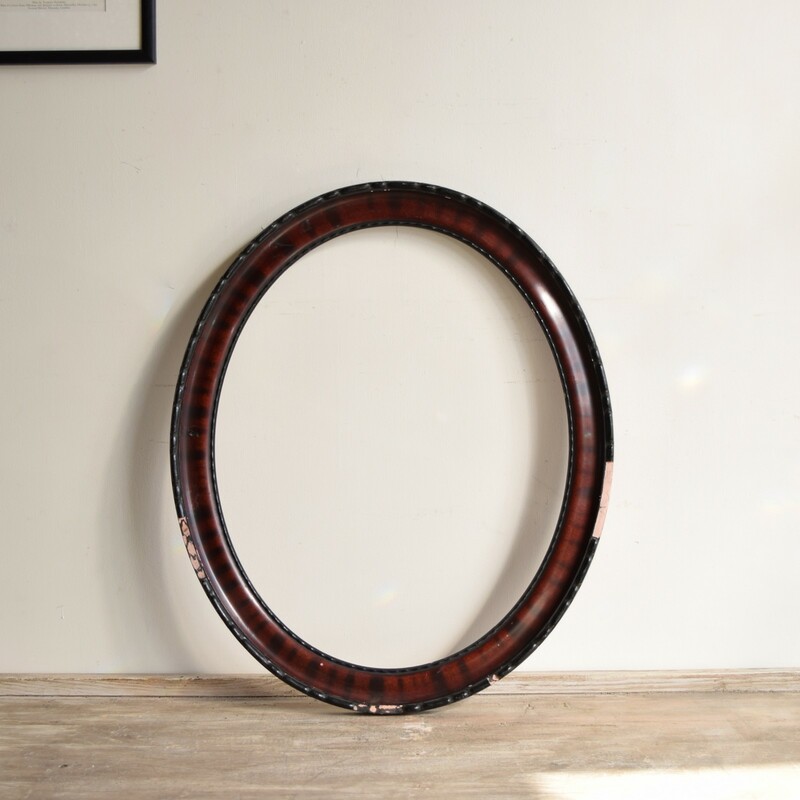 This oval wooden frame originates from Italy. It has an attractive cherry red stain and characterful chips. This can be glazed or mirrored at an additional cost. Please enquire for more information.